I wanted to reach out to tell you how happy we are with Anaïs. Nate is loving the piano and is even expressing interest in participating in the recital. This is largely in part to Anais building his confidence and pushing him. We could not be happier and wanted to let you know! We love Eddie! He is the perfect teacher for Grace. I really like Toma. He has a wonderful vibrant spirit about him that is very motivating. Emmet likes him too. They were improvising on the piano last week and Emmet was having so much fun! Charlie has been fantastic! He is professional, knows his stuff, is funny and just great to work with. I am really enjoying my lessons. Owen absolutely loved his lesson with Nick! I wanted to tell you how much we love Alex - my son and niece just click with him and Liam is absolutely loving his lessons! Paul is an absolutely wonderful piano instructor. He is warm, kind, patient, flexible, creative, and able to engage and challenge my son who is only 7. We continue to be impressed by him and couldn't be happier with our son's progress! I have to say I was completely impressed with Toma! He got Eli to talk to him, no small feat. Both boys loved their lessons. We love Siobhan teaching the girls, she is an amazing young lady. The girls are learning so much from her! Paul has been our children's piano teacher for the past two years. We feel that he is the ideal teacher: a combination of kind, encouraging, with high expectations mixed with a powerfully adept musical mind. Our boys enjoy their piano lessons - they often ask when Paul is coming! - and they have learned an incredible amount in a short amount of time. He really listens to the boys and picks music or even writes music out by hand that interests them. As a testament to how we feel about Paul, I have recommended him to a number of friends, with much success! I wanted to mention how much Alec enjoys his lessons with Eddie…he is wonderful! Paul has been teaching Eliza and Max for more than a year. It was important to us that they learn to read music, play and instrument and most importantly, that they enjoy them. Paul is very skilled at keeping the kids' attention for the duration of their lesson and keeping them excited about the music they're learning to play. They are excited each week for Paul to come so they can show him what they have practiced all week, which is a testament to the enthusiasm he instills in them. We are so grateful that they have such a positive introduction to music. I would like to highly recommend Paul Caracciolo to you as a music teacher for you or your children. Paul is a gifted and accomplished piano player in his own right in addition to being an inspiring and technically competent teacher. Paul is absolutely passionate about music. His love for the art is evident in his enthusiastic and energetic teaching techniques. He is exceedingly patient with all students, encouraging them and coaxing the very best effort from each. 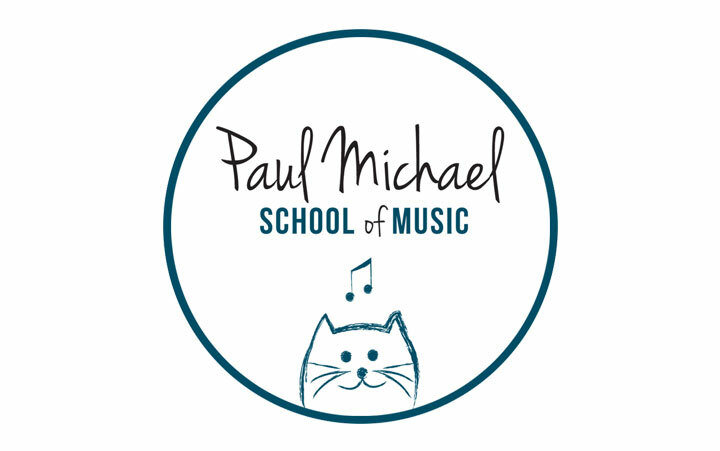 My two sons, ages 9 and 12, have taken piano lessons from Paul for the last 4 years. Paul came in behind a well-liked instructor that the boys had begun lessons with and was able to quickly and easily establish a rapport, making the transition virtually seamless. Over the years, under Paul's tutelage, I have seen their interest in playing the piano increase. I love when they spontaneously sit down at the piano to play for the sheer enjoyment of it or demonstrate their skills to visiting family and friends! They have made steady progress in their musical skills, largely attributed to Paul's teaching methods. As with most people, my boys have very different personalities and learning styles. Paul has been able to address this by personalizing their lesson plans. He has composed pieces specifically for them and has slanted the curriculum to address their unique interests, abilities, and learning styles - all while insisting on technical competence. A specific example of this is my younger son's interest in jazz and pop music. Paul has woven his interests into a portion of the lesson making it fun and instructional. No lesson is a rote lesson and I feel that is Paul's greatest strength. Paul also gives students an opportunity to showcase their talents by organizing bi-annual recitals. On several occasions, under Paul's guidance and assistance, the boys have composed pieces to perform. I feel that being involved in the composition process and the experience of performing in front of an audience makes them well-rounded musicians and gives them a great sense of accomplishment. I find Paul to be very flexible and accommodating when conflicts with scheduling arise. He is always pleasant, respectful, and courteous. We recently purchased a new piano and called upon Paul to help us make the final selection as we consider Paul to be a trusted expert in all things piano. I am tremendously grateful to Paul for everything he has taught my sons and the joy their music has brought to our family. If you are looking for a true professional, I give Paul my highest recommendation. Paul Caracciolo's credentials speak for themselves but in our experience he has been able to impart his musicality, knowledge and technique in a precise and gentle manner to my 10 1/2 yr old son. Paul has a wonderful rapport with Korgan, and Korgan looks forward to his weekly lessons. Paul has high standards and knows how to motivate his students or change course during the lesson to keep it fun and productive. Furthermore he encourages young learners to explore all styles of music and write their own compositions if they so desire. I recommend Paul without reservation and I am pleased with the progress my son has exhibited over the last three years.